When first-year students receive an assignment to write an article review, they often feel confused. Even journalists, people with considerable experience, might need clarification on how to write an article review. Not infrequently, people think that preparing an article summary or review are identical tasks. However, when a professor or supervisor gives an assignment to submit an article review, it is their responsibility to clarify what exactly is expected from you. In general, articles can be read, analyzed, critiqued, or/and summarized. Usually, students are assigned complicated articles, so they have to read them more than once and take detailed notes. Since articles usually cover specific topics, article reviews writing means frequent use of a dictionary to look up unfamiliar terms. A writer cannot prepare a decent review or summary if the meaning of the article remains unclear. There is much planning involved in writing an article review. Having read (and understood) the article, a student has to outline the main ideas. The outline should be created according to the established conventions because sometimes professors and editors ask to submit the outline first. Start as early as you can. Allocate enough time for research and other pre-writing activities, as well as for writing and editing. Carefully read the article, noting down unfamiliar words as well as concepts and facts that you would like to research. Make sure the notes are clear so you could return to them later. Use online dictionaries books to look up the words from your list. Additionally, do the research on other aspects you think might be important. Later, you can transform your notes into paragraphs. Ideally, you have to talk to an expert in the field so you could use first-hand experience when discussing the topic. For instance, if the article is on a medical reform, talk to a nurse in the local hospital. If the topic of the article is related to the theater, arrange an interview with an actor or a director. Try to collect two times more information than you think you might include in your paper. Start working on your first draft. Use the appropriate style. Remember that a review of an article is not a mere description: you should be able to comprehend the topic, analyze and interpret it, and sometimes even share your personal opinion. Although introduction comes first, it is sensible to write it in the last place. When you know exactly what the review is about, you can create a relevant introduction. Finally, you can join the paragraphs and transform them into a coherent piece. In those rare cases when teachers do not assign a specific topic, the choice of an article is up to you. Of course, the majority of students select topics they consider interesting, but what to do if you are not sure which article you would like to review? First of all, you can ask for an expert advice. For example, talk to a student whose judgment you trust and ask to recommend an article for you. Alternatively, you can go through the bibliography in your textbook – it will definitely contain something that you find interesting. Anyways, make sure you choose a topic you understand and will be able to write. If you are looking for an article review writing company, MarvelousEssays.org is the best option. 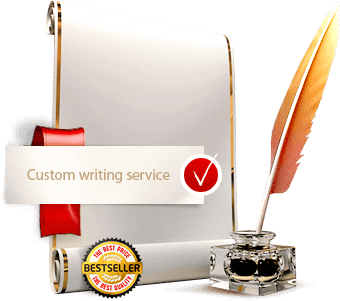 This is the leading company that specializes in writing custom article reviews. Many clients who use our services regularly can prove that we are a trusted company that provides high-quality custom written article reviews. Every customer is valuable to us, so we put maximum efforts when working on every order. We employ skillful article review writers who have extensive experience and can help you with assignments in a variety of disciplines. Our writers are familiar with all common styles and writing patterns. They will freshly write your paper and will closely follow your requirements, so you can be sure that you will receive a plagiarism-free paper written according to your needs. Customers prefer out article review writing service because we never deliver unoriginal papers written inattentively. Should you feel that the paper you received does not fully meet your requirements, you can ask to revise it for free. Free revision is available after the deadline expiration within 2 days or 30 days for short (1-19 pages) and long (20+ pages) papers respectively. Please also note that writers cannot revise papers for free if the initial instructions are changed. We have made the ordering process on our website simple and clear. All you have to do is provide the instructions and pay for the services. The assigned master starts working on your order right after payment verification. Once the paper is written, our editors will check it for mistakes and unoriginal content. All this will be done efficiently, so you can get your final paper right on the due date. If you have any questions, contact our customer support team. We are ready to assist you 24/7!